Japan’s production region-based textile manufacturers and processing factories are seizing the opportunities of exhibiting at the Milano Unica (MU) and Premiere Vision (PV) Paris in successive moves to launch full-scale exports to the West. There are also companies expanding their businesses steadily by harnessing the fusion of Japanese yarn, traditional techniques, and advanced technology, and by clearly drawing upon the superiority of Japanese products with their solid quality. 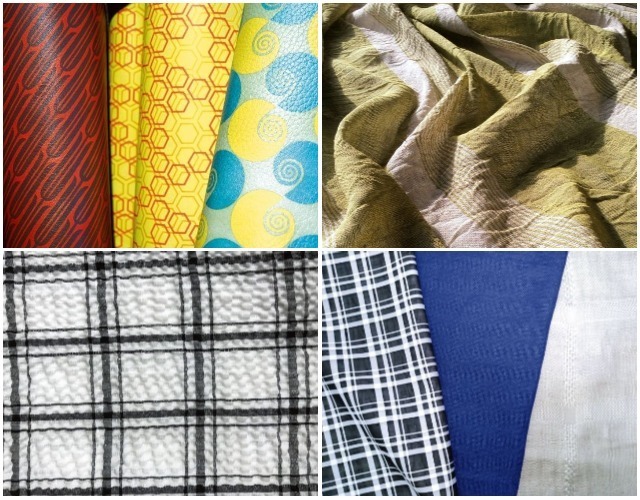 Amidst growing environmental awareness around the world, interest in Japanese materials is also on the rise. 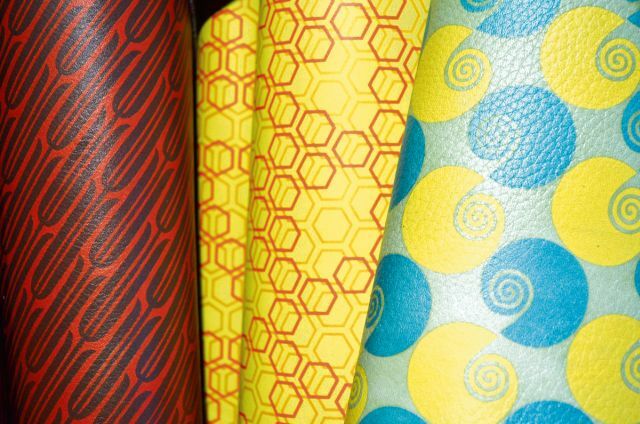 KYOTO Leather CO., LTD., which develops hand-printed and post-processed products using domestically-produced cowhide leather, began exhibiting in PV Paris two years ago. During this period, it has moved forward steadily on trading products such as bags, shoes, and interior products with about 30 brands in a wide range of large, medium, and small companies from regions including France, Italy, Spain, and northern Europe. Its highly-creative leather products made from top-quality Japanese leather, and the fusion of traditional Japanese dyeing and processing techniques including yuzen dyeing and plant-dyeing, which covers the processes of tie-dyeing, embossing, foil processing, and indigo-dyeing, have been popularly received like a breath of fresh air. According to the company’s representative, the response has been far greater than the response from the domestic market, and business is progressing at a greater pace than anticipated. At the PV Paris for spring/summer 2019, it has further incorporated Japanese-style techniques, and explored materials and processing techniques. These include the fusion of materials such as Japanese paper (washi), cloth and wood, as well as developing and evolving plant-dyeing techniques. Through these means, KYOTO Leather is strengthening its proposed “leather culture” that only it can provide. With the growing demand for hemp worldwide in the past few years, the product offerings of hemp weavers and processing factories that have been participating since the previous MU have drawn a positive response, and there is heightening anticipation towards what these companies will present for spring/summer 2019. 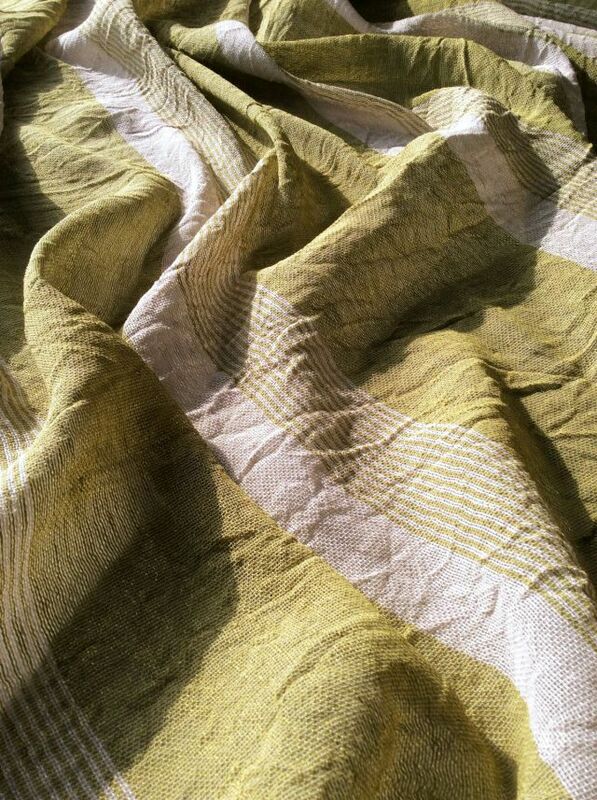 SHIGAASA CO., LTD. offers a variety of textiles, centred around linen and ramie. For linen, its line-up includes 100% thin linen cloth, linen and silk, cuprammonium, and polyester composites, as well as textiles made from linen and bamboo, or linen and lame yarn to create textiles with a superior level of softness and lustre. For ramie, it offers variations in colour combinations, as well as lustrous, translucently thin textiles produced through nylon composites with its top-dyed series as well as 160-denier fine count yarn. 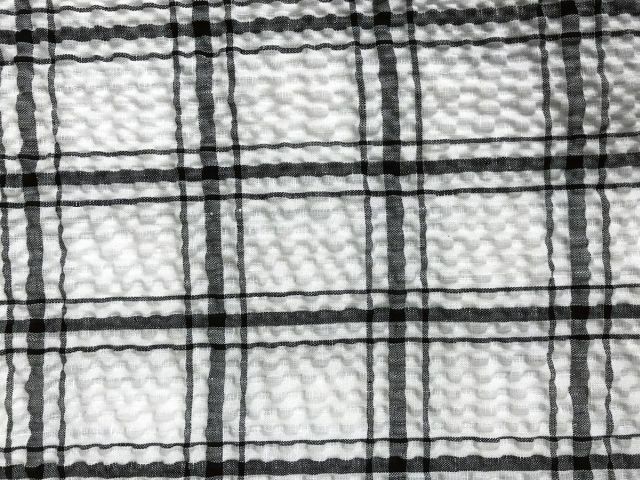 It has also expanded the variations of its creative designs, and is continuing to expand its chequered series of 100% linen cloth from the previous season. 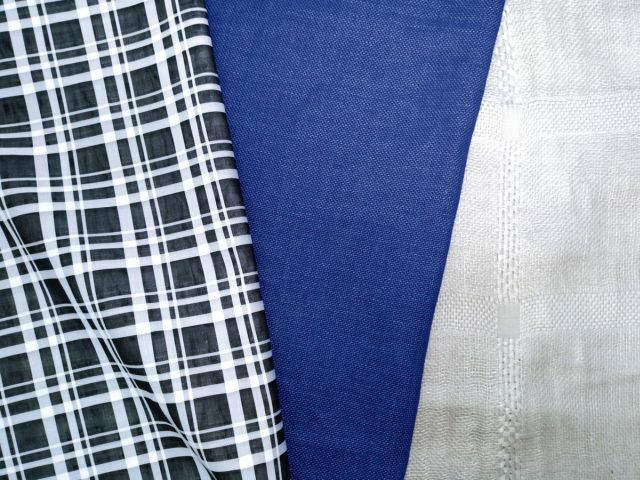 At the same time, it is proposing newly developed products such as gradation-dyed linen and ramie, and linen crepe. MASHI SHOKAI CO., LTD. is presenting textiles for use as outerwear such as jackets, particularly textiles made with heavyweight yarn. Its focus includes composite textiles of linen and silk, variations of stretch textiles made with a core yarn of spandex covered in linen, textiles dyed and processed to create random expressions in white, and high-density textiles. In the previous MU, buyers from the West as well as Asia expressed an interest in the textiles produced by DAICHO CO., LTD.’s special proprietary methods. The company received a positive response, including actual orders received. For spring/summer 2019, it is putting effort into creating original expressions through processes such as the salt-shrinking process with an alkaline treatment using special chemicals, Omi-bleached processing that creates a soft and delicately crimped texture, processing through a low-speed tumbler to create a fluffy texture, and processing to prevent rubbing through the incorporation of Omi-Chijimi, a traditional hand-processed hemp.